Camp is coming up soon! 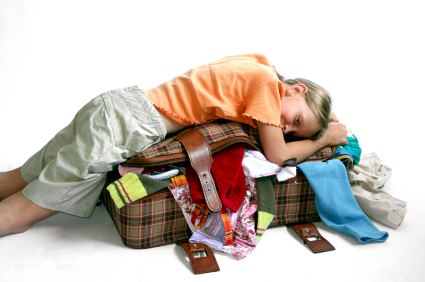 Are you packed yet? No, what!?!? Maybe you need a refresher course on what to pack for camp. Or you could be a first time camper and are not sure what to bring. Here is an idea of things you may need. 1. Casual, modest clothes for both warm and cool weather (6 days) of warm days and cool nights. Also some people like to dress in Sunday Church clothes for evening tabernacle, you don’t have to but just wanted to mention it. Also one set of old clothes to get dirty. 6. Any balance of unpaid fees for camper registrations and forms that haven’t been turned in yet. 7. Shoes for playing wide games (sandals are great for the beach, but not for our games). 11. Be ready with a good attitude and a good appetite and you’ll have a great time. Please check the LOST AND FOUND at the closing of your camp week. I am sure I forgot something. What do you pack for camp? Registration begins at 1pm on Sunday June 17 and Red Rock Camp closes at Noon on Saturday 23rd. Finally don’t forget your forms . You haven’t registered yet?? Well hurry up just go here to fill out the registration.